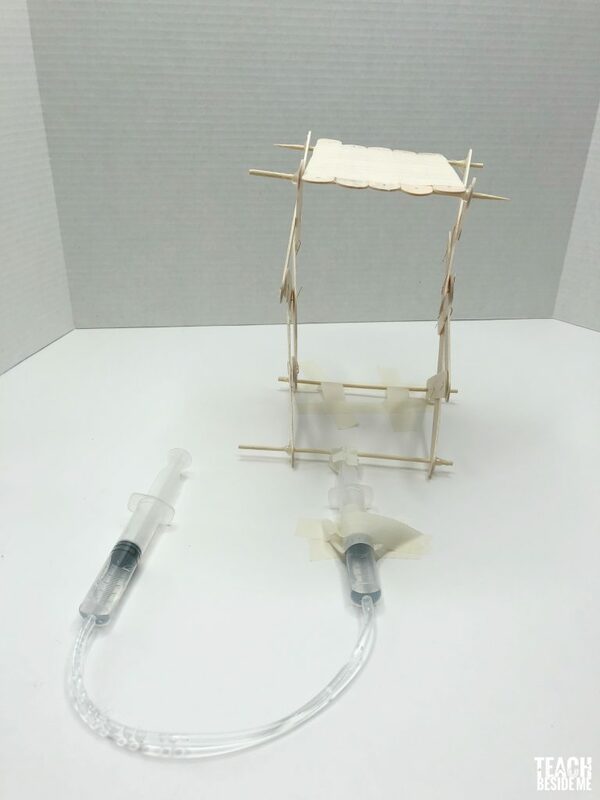 This project was made to pair with the book Elevator Magic by Stuart J. Murphy. 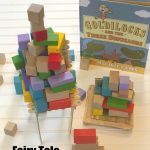 It is a math picture book focused on subtraction. 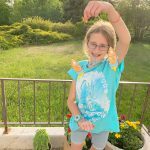 This STEM project combines both math and Engineering. 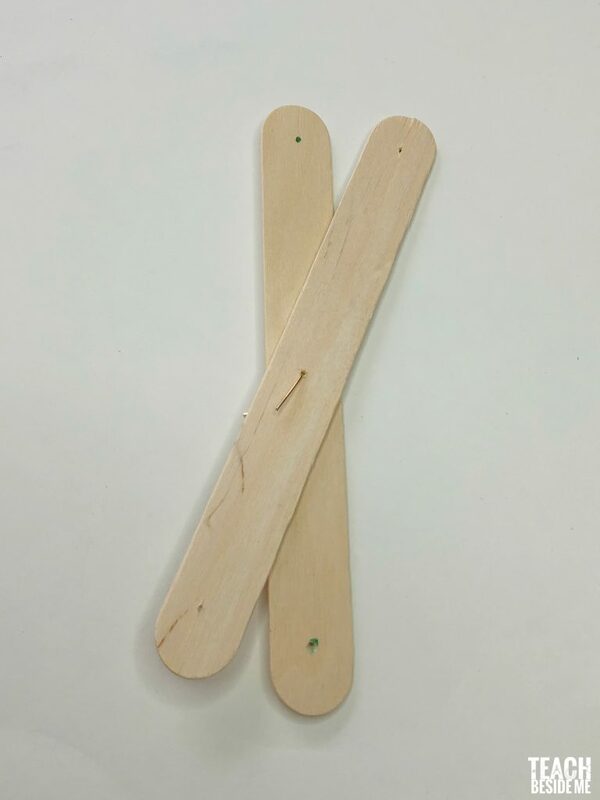 Mark the center and two end points on each popsicle stick (about 1/2 inch in). You will be putting a hole through these points, and you want to them to match up with the other ones. 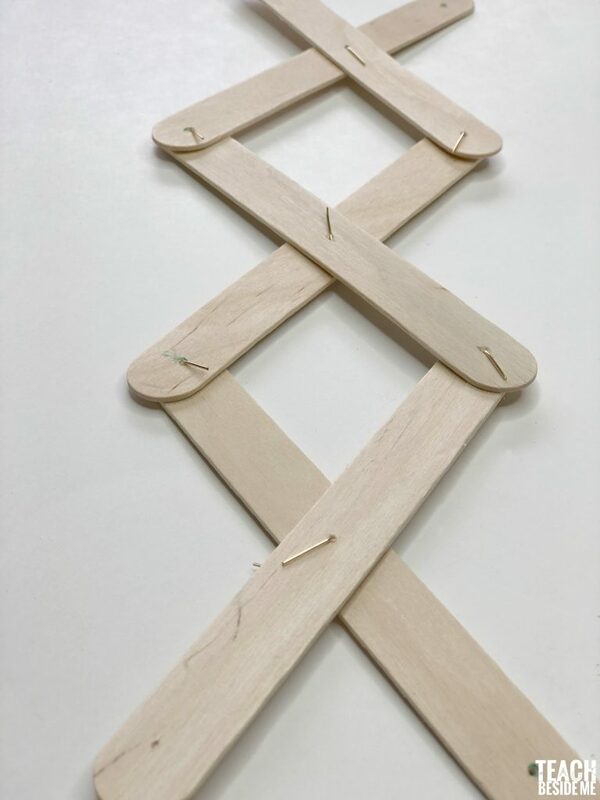 Stack the sticks together and tape them together with some masking tape. Use a small drill bit and drill through the tree spots. However, it tends to split the stick on the ends a bit, so be careful! Or just use a small screwdriver instead- it takes a little longer, though. 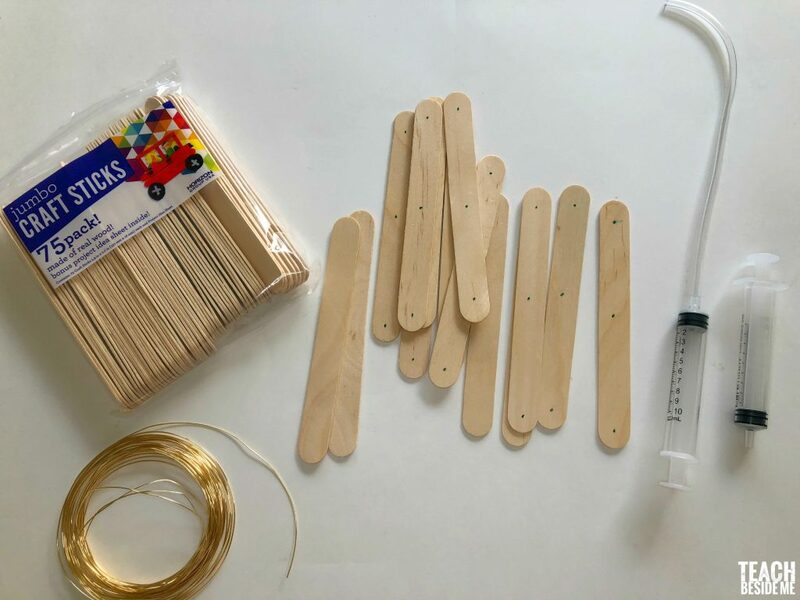 Once the sticks all have holes, connect the center point of two sticks with a small piece of wire. Do this three times. 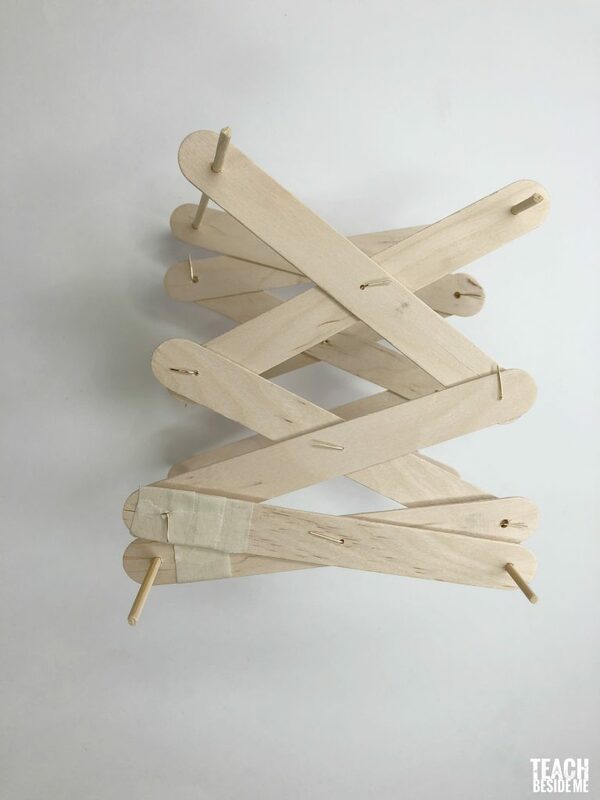 Then connect the two ends of each pair so you have a row of 3 pairs of overlapping sticks. Repeat with the other half so you have two moving pieces with 6 sticks in each. On the bottom and top holes, combine the two sides together by putting a wooden skewer through the holes. I used 2 skewers cut in half for this step. I also ended up adding a dab of hot glue where each of the sticks were secured to keep them from slipping out. As you can see in the photos, I had a few of my sticks split a bit and I taped them with some masking tape. If you want to make a platform for the top of the elevator, just tape together 5 more jumbo sticks. Next you will need to secure the bottom back skewer to the surface you are using. I taped it down to the table to keep it in place. 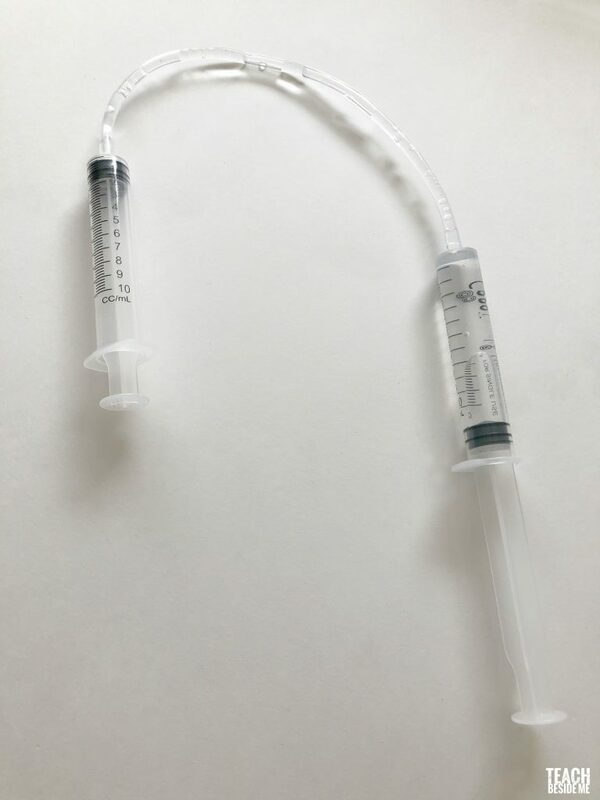 Get your syringes ready now by cutting a small piece of tubing and attaching it to one tip. Fill the other with water and attach it to the other end of the tube. Once the syringe is prepared, tape one end down to the table as well. The end that slide in and out should be taped to the front skewer. 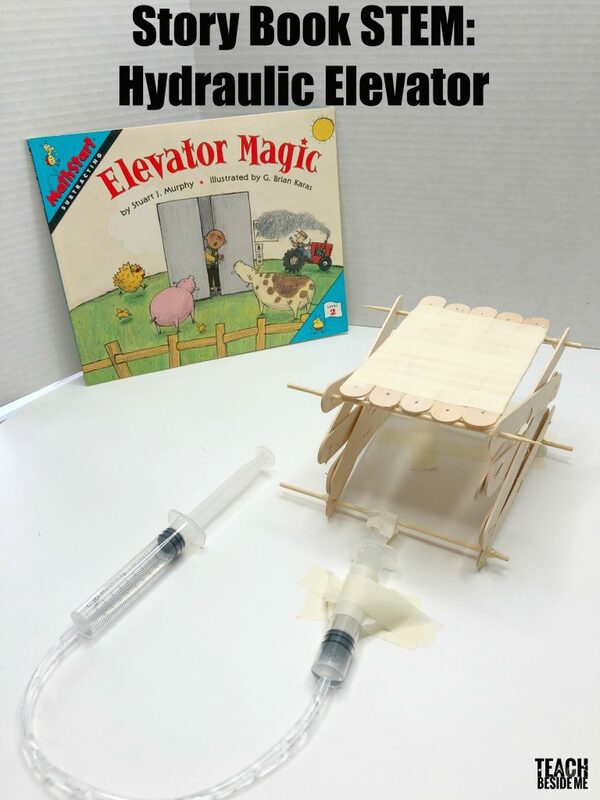 Now when you push the syringe in and out it will lift and lower the hydraulic elevator. How to turn this into a math activity? 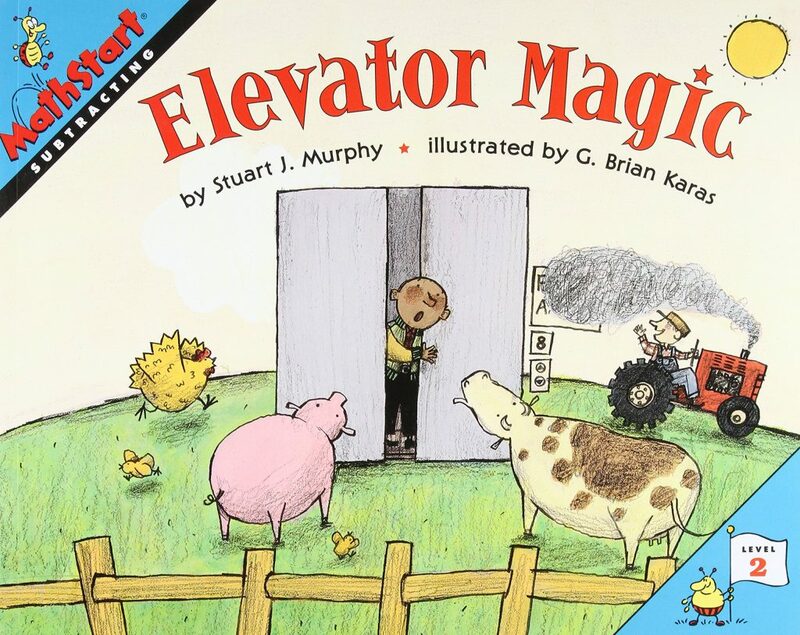 In the Elevator Magic book, they are counting floors. Add a poster behind your hydraulic elevator mapping out which floors you are visiting from 1-10. Have toys ride up on the elevator and add or subtract toys at each floor! 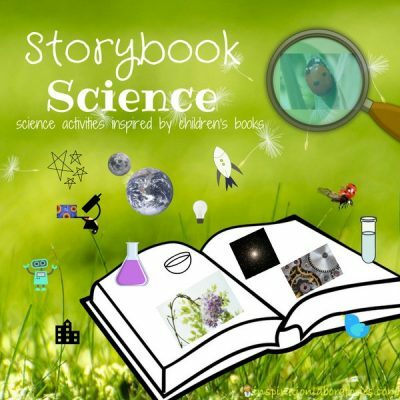 Today I am participating in the Storybook Science series hosted by Inspiration Laboratories. 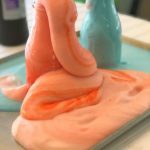 Make sure to stop by and visit to see all of the other fantastic Storybook Science activities! This is really creative! 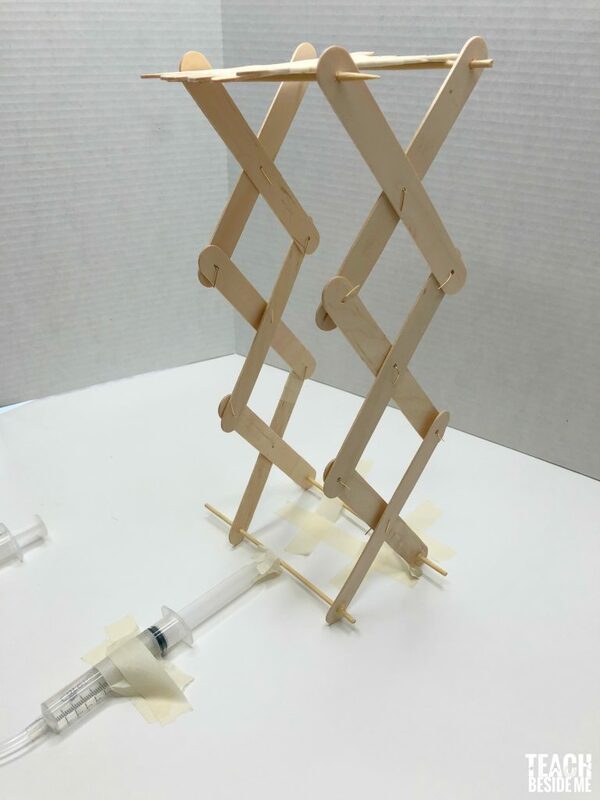 I will have to save this project so I can try it with my kids on one of our STEM Fridays. Where did you find the syringes and tubing?